Just over a week ago I attended Snap, a conference for creative bloggers. In prepration for the conference I made some new business cards and I decided that I needed some little card holders to carry them in. Last year I made some that were sewn but I thought this time I would crochet them. 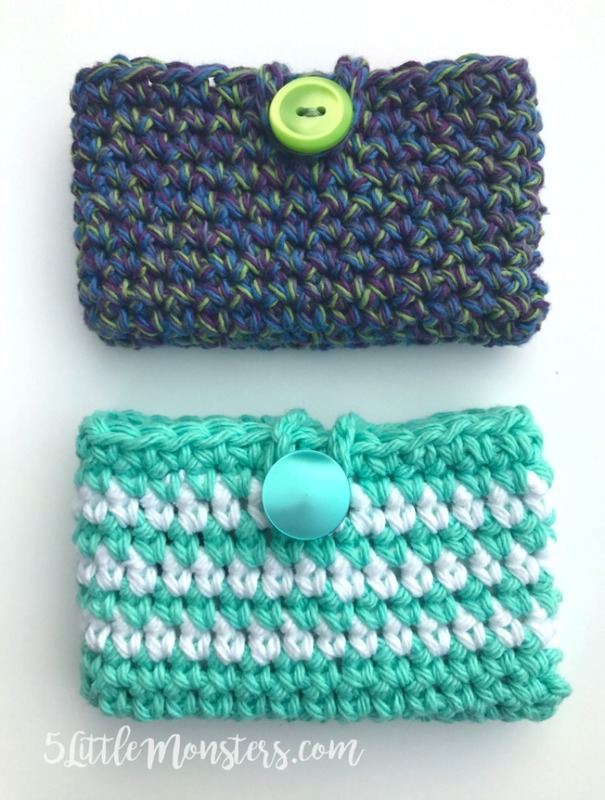 I made some simple little buttoned pouches and they worked perfectly. 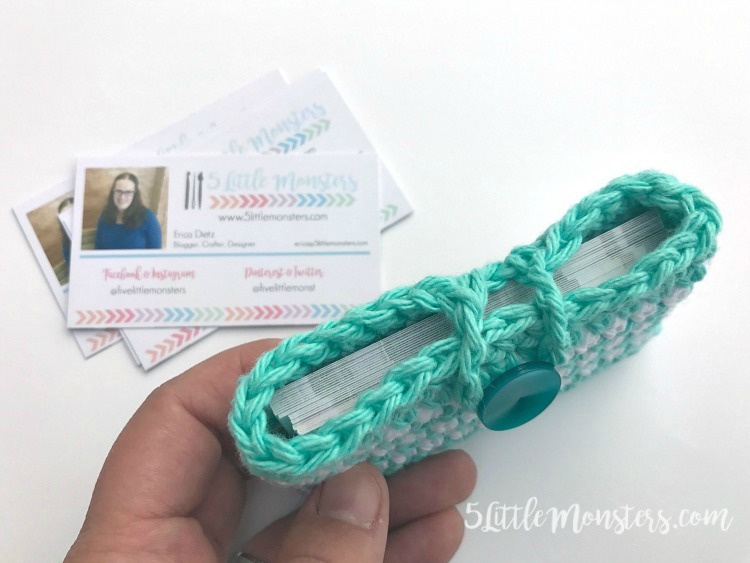 I used them for my business cards and was able to carry quite a few in each one, but they would also work great as a little card wallet to throw in your purse to keep cards in or as a cute way to give a gift card. 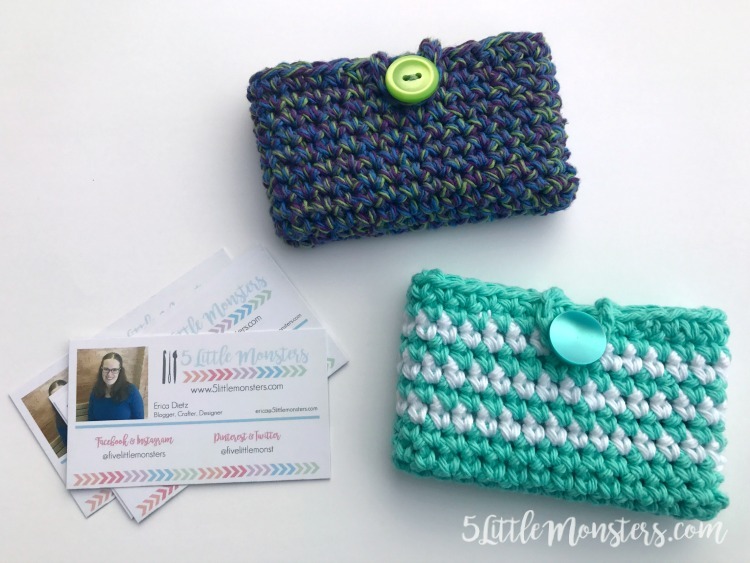 The little pouches are really quick and easy to make. They really only take a few minutes and a small amount of yarn. 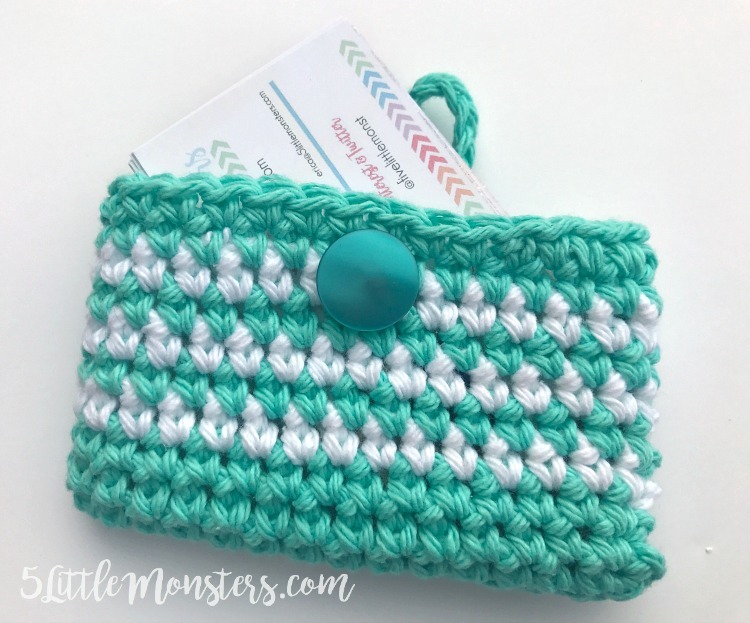 I used cotton yarn for mine because I like that cotton is a little less fuzzy than other yarns can sometimes be, plus it is pretty sturdy yarn which is nice for any type of bag or pouch. The closure is just a chain loop that flips over the top, around a button that is sewn on the front. Finished size approx. 4" x 2 1/2"
note: one of my pouches I made solid color and one I added stripes by simply alternating colors on the last few rows. You can easily add as many colors as you would like by switching colors at the end of the rows. You will be working on both sides of your base chain, down one side and then turning ad working back down the other sides through the loops that were left. Fold the loop over the front of the pouch to see where you need to sew on your button. Stitch the button in place using sewing thread and needle. That's it, pretty easy. I was able to whip up a couple in no time at all. I think I am going to keep one in my purse so that if I ever need a business card I will have some with me. Also, I will share a little about my experience at Snap later this week. Thanks for sharing this pattern. 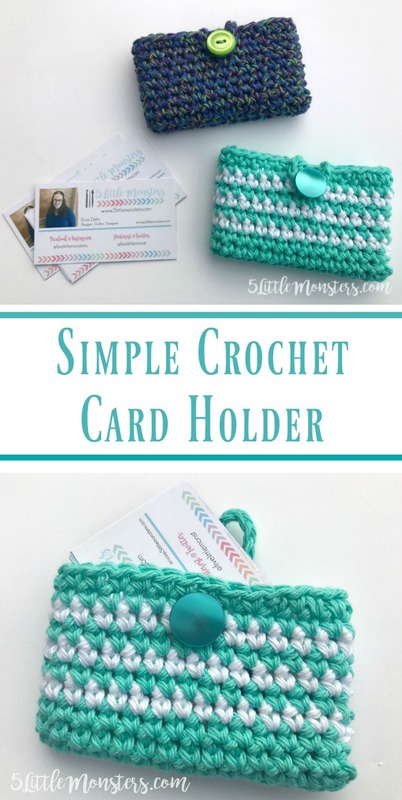 What a great way to use up those pretty scraps of yarn!